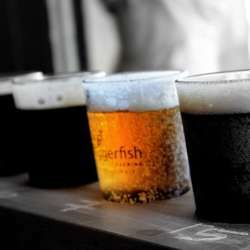 Beer Tasting - Try some yummy brews ? We invite you to join us for a beer tasting! Please remember to subscribe ONLY if you are sure you can attend. Thanks in advance for respecting the effort we put into organizing. If something comes up and you are not able to join, please cancel your attendance 24 hours in advance and leave a comment on the activity wall to see if you can sell your ticket to another interested member. This is a public event called "Beef&Beer" so spots cannot be guaranteed by us. We look forward to tasting some delicious cold brews with you!